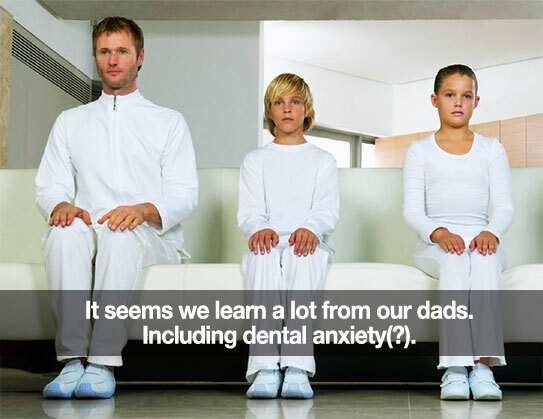 Home › Blog › Is Dental Anxiety A Learned Behavior? Is Dental Anxiety A Learned Behavior? THIS IS REALLY interesting. Perhaps, if you struggle with some level of dental anxiety, odds are you’ve picked some of that up from your parents. According to a new study, by the University of Madrid, children most often look to their fathers when gauging potentially stressful situations. It appears that if a father is nervous about dental visits, his children pick up on his cues (no surprise there)—even unintentional ones—and may follow suit. The findings include you too, mom. The International Journal of Pediatric Dentistry confirms that the higher the level of dental anxiety in any family member, the higher the level in the rest of the family. Other studies show that women more often demonstrate positive habits and attitudes towards dentistry—so it may be up to you to set the good example! You’re always welcome to bring a friend or family member. Whatever your age, sometimes it’s nice to have a friendly face with you if you’re anxious. Distract yourself. Do you have some favorite songs on your phone or MP3 player? What about a handheld game you enjoy? Bring it along! Our team will do everything we can to accommodate you. Talk to us! One of the best ways to overcome anxiety is to talk about it. We are always happy to explain what we’re doing. And we’re happy to take breaks when and if you need them. Helping Us Know You Better Makes A Difference Too! Lots of things are uncomfortable when they’re new, or outside your routine. 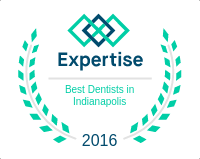 We want you to feel at home in our practice, so help us get to know you better. One of the best ways is through our social media channels—especially on our Facebook page. Connect with us there and leave a comment or Like. You can also direct message us there. We’re listening. Do you have a recommendation for overcoming dental anxiety? Something that’s worked for you? We’d love to hear about it! Leave a comment below! We appreciate and value your trust. Thanks for being our patient!